Swipe right, swipe left, swipe right, chat a little, set up a date, go out, come home and write about it. 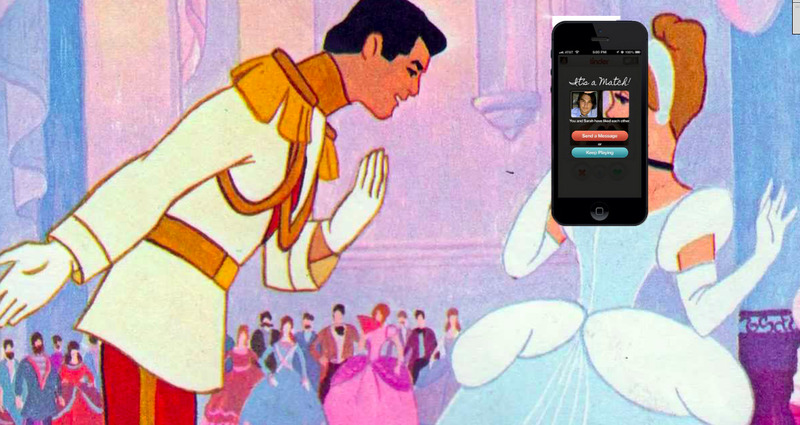 It’s 2014, and this is the life of “Tinderella,” a woman who blogs her way through Tinder date after Tinder date, hoping to meet Prince Charming…or at least someone who isn’t totally terrible. Tinderella, 27, wishes to remain anonymous but describes herself as blonde and British. One of her dates even cried about his ex to her . She’ll also record what she wore. A few thousand people a month, according to the blogger, tune in. She says each date post gets about 2,000 hits. Med Student was already there, sitting at a table with a beer. He was even more attractive in person but I was so annoyed by my surroundings that I only noticed this begrudgingly. We shared awkward hellos that I could barely hear over the Irish jigging and I sat down. He didn’t offer me a drink so after a stony silence I said, ‘Well, I’m just going to get myself a drink’. Perhaps remembering that he was on a date and not in the student halls he suddenly leapt up and took my order. If I’m going to spend an evening sitting in puddles of old beer, I draw the line at concurrently becoming deaf at the hands of an Irish jig. To read the Tinderella blog, click here.